Anda baru saja memulai trading di forex, gold dan silver? Jangan takut, kami akan membantu anda untuk memahami apa saja yang perlu disiapkan sebagai senjata di market melalui informasi berita terupdate dan analisis teknikal teranyar. Leverage products carry a high level of risk and may not be suitable for all investors. The risk grows as the leverage is higher. Investment objectives, risk appetite and the trader's level of experience should be carefully weighed before entering trading with leverage products. There is always a possibility of losing some or all of your initial investment/deposit, so you should not invest money which you cannot afford to lose. Please ask for advice from an independent financial advisor before entering this market. 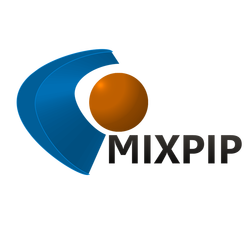 Any comments made on “Mixpip.com” or on other sites that have received permission to republish the content originating on “Mixpip.com” reflect the opinions of the individual authors and do not necessarily represent the opinions of any of “Mixpip.com” authorised authors. “Mixpip.com” has not verified the accuracy or basis-in-fact of any claim or statement made by any independent author: Omissions and errors may occur. Any news, analysis, opinion, price quote or any other information contained on “Mixpip.com” and permitted re-published content should be taken as general market commentary. This is by no means investment advice. Invest to know how will not accept liability for any damage, loss, including without limitation to, any profit or loss, which may either arise directly or indirectly from use of such information.